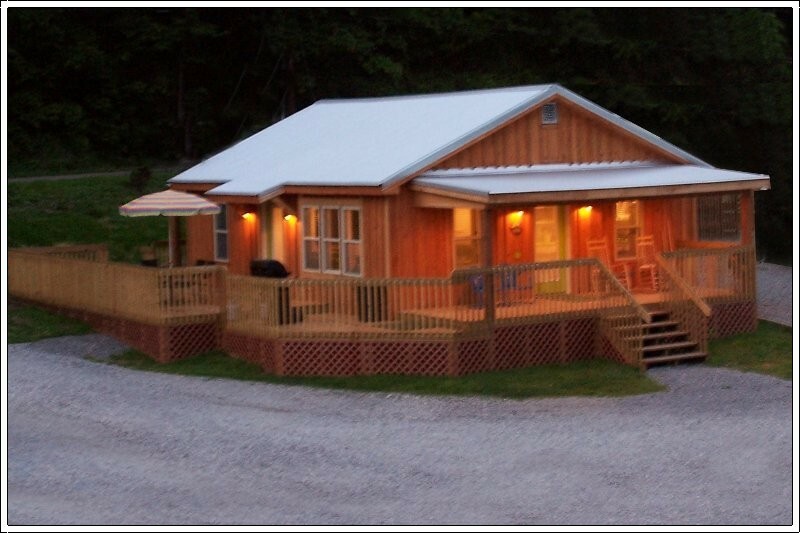 Vickers Rental / CaneBrake River Cabins offers a choice of (12) cabins/rentals, all in the town of Gilbert WV, nestled in a valley surrounded by majestic mountains and the Guyandotte River. This is the most perfect place to ride, play, relax, and enjoy the great outdoors. No trailering required; the entrance to the Hatfield~McCoy Rockhouse Trails (Trail #12) is about 100 yards from the CaneBrake River Cabins. Once you unload your ATVs or trail bikes, you don’t have to load them back up until you are ready to go home! Getting here is easy too because you can pack light. Our rentals are modern, neat and clean and are well equipped with nearly all the necessities of home. You can find a check-list of amenities on our website www.rivercabinswv.com. All of the rentals have large, graveled, and level parking lots, so toy haulers, tall or long trailers, multiple trucks & vehicles, ATVs and bikes are no problem. If you have stayed with us before, we are looking forwarding to having you back and if you have never stayed with us before, we are looking forward to getting know you and share our slice of West Virginia heaven with you. Feel free to email, moc.l1556071719iamg@1556071719vwsni1556071719bacre1556071719vir1556071719 or call 304-785-1153, with any questions.